The latest Sonos One smart speaker has launched sales in Canada. The newest speaker from Sonos features touch controls and will soon support voice assistants such as Alexa (when it launches in Canada at some point), Google Assistant and AirPlay 2 in 2018. 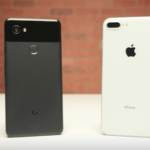 The company confirmed to iPhone in Canada in an email Spotify will be available for the Sonos One, in time for the holidays. Sonos One is built on the bones of company’s popular PLAY:1 speaker, still providing rich room-filling sound, which we can confirm in our recent review of the speaker. 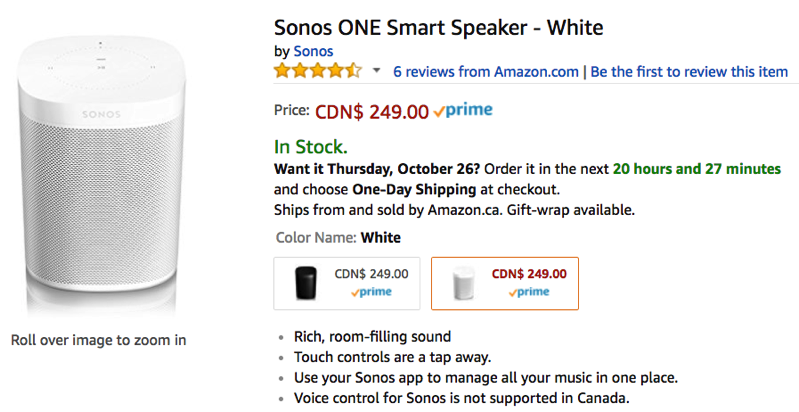 You can buy the Sonos One in black or white, available for $249 CAD on Amazon.ca.